CEDAR CITY — The Panguitch girl’s basketball team put its 64-game winning streak on the line as it faced Cedar in the Steve Hodson Cancer Classic Tuesday and came out with a one-game losing streak. Cedar started out fast and gained a huge lead before Panguitch knew what was happening. By that point, Panguitch didn’t have the time or energy to overcome the deficit and lost 58-35. Cedar only allowed one point in the first quarter and only five more points in the second quarter as the Redmen scored 35 of their own points in the first half. Cedar head coach John Elison knew this was a big game against a good team that hadn’t lost in a long time coming into the game. The third quarter was tough for Cedar as Panguitch seemed to wake up and start playing tough. Panguith outscored Cedar 18-8 in the third. The fourth quarter was more even as the scoring favored Cedar 15-11. Cedar’s leader, Courtney Morley, struggled early in the game thanks to foul trouble, but three players stepped up and took over as the game wore on. Cedar was led by Dream Weaver with 14 points. Morgan Myers scored 11 and Jessica Whetman added nine more. Myers said her team was definitely ready for the challenge of playing Panguitch. Panguitch was led by Chesney Campbell who scored 16 points, 11 of which came in the third quarter on the huge run. Cedar plays Woods Cross Wednesday in the Steve Hodson Cancer Classic at 3:30 p.m. at Cedar High School. The Lady Warriors rebounded from their only loss of the season with a drubbing of Woods Cross. Snow Canyon jumped to a huge 32-14 halftime lead and coasted to the finish in the second half. Madison Mooring led all scorers with 20 points. Natalie Coulomb and Shaylee Reed scored 13 and 11 points, respectively. With the victory, Snow Canyon improves to 9-1. The Lady Wildcats fall to 3-6. 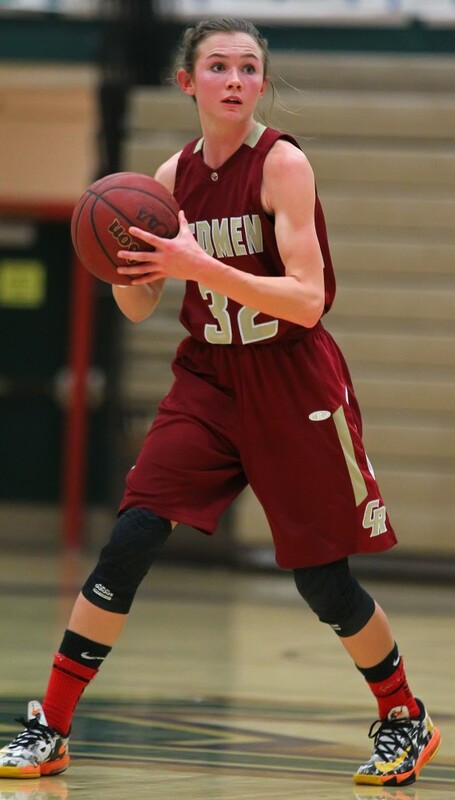 Snow Canyon will play its final game of the Steve Hodson Cancer Classic Wednesday night against North Sanpete at 6:30 p.m.
Pine View fell to the Lady Hawks after their furious fourth-quarter rally fell short. The Lady Panthers could only muster 10 first-half points and looked at a 9-point deficit after three quarters, 30-21. They were able to pressure North Sanpete effectively in the fourth, but came up short in the end. North Sanpete outscored Pine View 18-2 from the free throw line as the Panthers were called for 10 more fouls. Breana Moeai led Pine View with 12 points on 67 percent shooting. Tayvia Ah Quin contributed nine points and six rebounds. Pine View falls to 7-3. North Sanpete improves to 5-6. The Lady Panthers will play their final game of the Hodson Classic against Canyon View at 6:30 p.m. Wednesday night. The Lady Tigers pulled away from Tooele in the second half to record their sixth win. Down by one at halftime, 21-20, Hurricane limited the Lady Buffaloes to 11 total second-half points. Morgan Huntsman led Hurricane with 11 points and seven rebounds. Taylor Anderson also scored in double figures with 10 points. Carrie Marshall also pulled down seven rebounds. Hurricane improves to 6-5. Tooele drops to 2-7 with the loss. The Lady Tigers will play Stansbury Wednesday at 2 p.m. for their final game of the Hodson Classic. Dixie fell to the Lady Wolves in the Blue and Gold Classic held in Enterprise. The Lady Flyers were consistent on offense, but could not stop North Sevier’s scoring attack. At halftime, the lead was 45-21 in favor of North Sevier. Individually, Kelsea Barker led the Flyers with 17 points. Lexie Paxton and Grace Killian scored six apiece. North Sevier has won six in a row after dropping the first two games of the season. Dixie falls to 2-8. Dixie will play again at noon Wednesday against the loser of Enterprise and Grand.